Kit building manual on Issuu. Kit building manual - errata click here. Photographs from the event seen here. RockMites are available from Small Wonder Labs. Enclosures for the RockMite (the "MityBox") maybe obtained from American Morse. 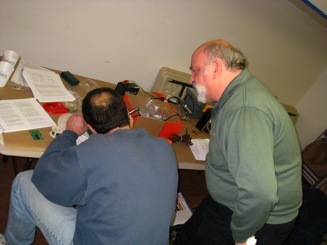 Part of the joy of ham radio is sharing in experiences either learning or teaching. 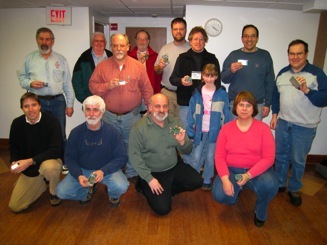 In this spirit, the PART club organized a kit building adventure in February of 2008 to provide club members with a chance to build a RockMite or other kit of their choosing. Many were first time kit builders who were helped along the way by the more experienced in the club. Seven radios of ten radios were completed during the event (all working!) with two more completed by their builders by the end of the weekend. The event was such fun that another similar event is already being discussed. 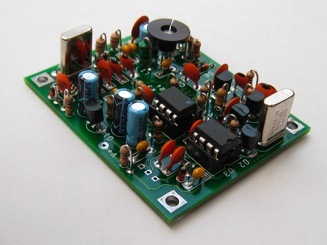 The RockMite: a 40m QRP transceiver with built-in keyer. 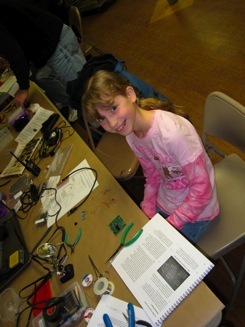 Ten RockMite kits were built at this event. Copyright 2000-2012 PART of Westford. All Rights Reserved.